Imagine the world without clean water; not a single drop of clean drinking water; marine living organisms dying due to suffocating mass of garbage and debris; oceans being polluted by oil and dirt and air filled with smoke and poisonous gasses. No oxygen to breathe. Deforestation at its peak. Earth devoid of an ozone layer. Imagine the death of life supporting environment on earth. One needn’t “imagine” this scenario in near future if the initiatives to save this planet are not taken now. 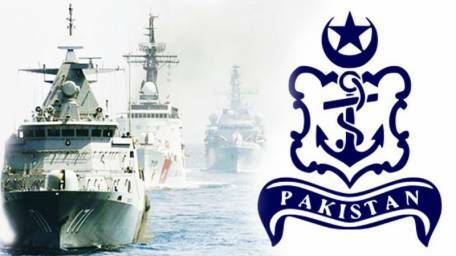 To safeguard the world from this situation and to ensure the healthy environment, the contribution of Pakistan Navy (PN) among many other organizations and stakeholder is commendable indeed! PN has contributed in the development of maritime sector despite it is not the primary duty of PN. 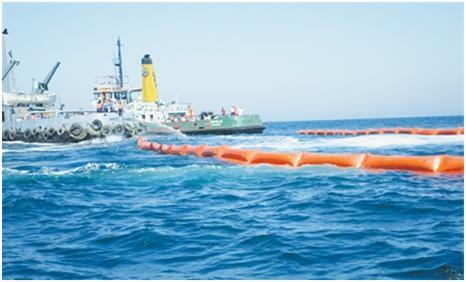 PN has actively worked to save the oceans from pollution and resolve the issues related to marine environment. The pollution at Karachi Harbour is not a secret. The threat of pollution has immense impact on the life of those people who are directly or indirectly associated with maritime sector. The eco-system has been disturbed greatly. PN makes vigorous efforts to bring all the stake holders on board and persuade them to initiate effective measures. PN is perusing KPT for mitigation of pollution in Karachi Harbour. 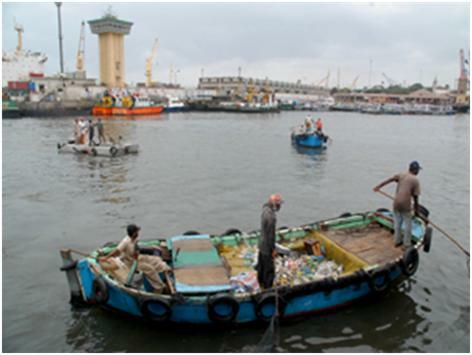 KPT and PN, in turn are pursuing CDGK to control waste from entering Karachi Harbour through S-III project. The conduct of environment friendly activities such as regular harbour cleaning and environmental awareness campaigns every year reveals the dedication of PN to keep the environment clean. Jinnah Naval Base Harbour at Ormara and PN Berths at Karachi Harbour are regularly monitored and it is ensured that no solid waste, garbage, oil, and bilges are thrown into the sea by ships, boats or workshops.PN putsits every effort in collection of floating debris around jetties through debris collection boats to keep the Harbour clean. PN believes in promoting healthy environment by tree plantation activities in different areas of Pakistan. Recently the tree plantation activities in barren arid land of Baluchistan have been conducted and are expanded in phased manner. Various types of plants and mangroves have been planted at Turbat and Ormara. 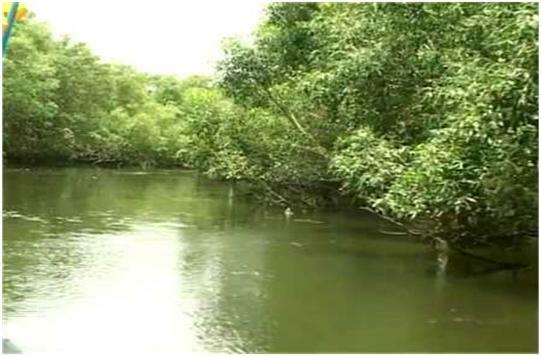 Additionally, the next project is the regeneration of mangroves jungles along the Coast to compensate for the damage caused by environmentally unsafe practices. This project will be implemented in districts of Thatta and Gwadar. Another commendable initiative of PN is, with the assistance of Mangroves for the Future (MFF) programme, installation of an organic sewage treatment plant. This is a UN recommended self-sustaining natural reed bed sewage treatment plant at Manora to reduce land based pollution from the island. 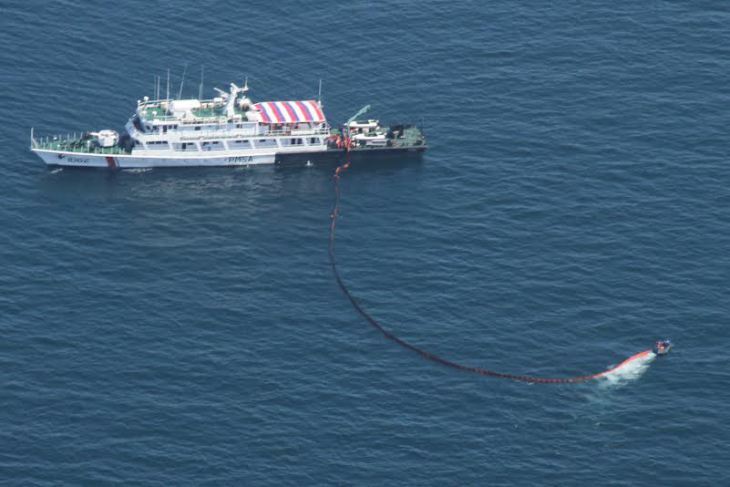 Oil spill incidents lead to marine pollution. 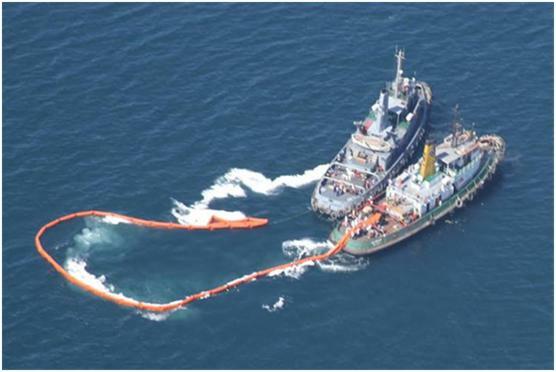 To avoid oil spill hazards PN regularly plans and conducts “Barracuda” series of oil spill exercises. These exercises improve expertise and coordination between all stakeholders to handle national marine disasters effectively in case of oil spills in harbour and at sea. 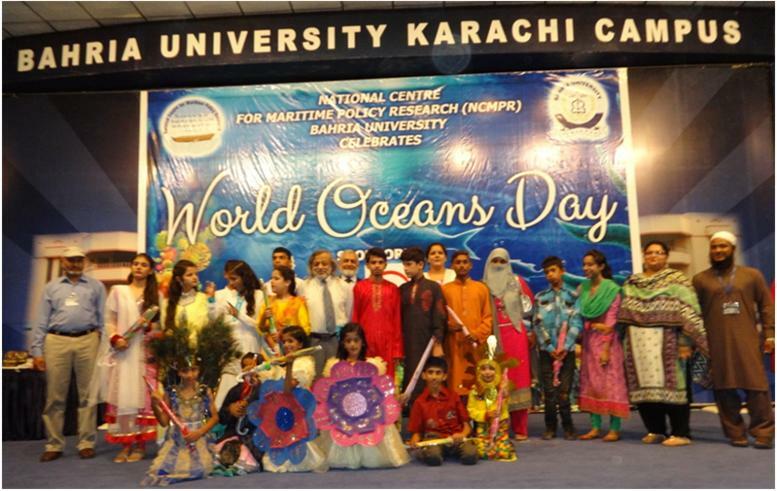 The celebration of the World Environment Day (WED) and World Ocean Day (WOD) by PN in the year 2015 includes a variety of activities to increase awareness among masses. Usually, on World Environment Day and World Oceans Day public awareness campaigns are launched on the significance of WED and WOD, impact of environmental issues and climate change. Banners, pamphlets, leaflets are printed and displayed in units, schools, and residential areas. Video clips of activities are broadcast through cable operators to spread awareness. 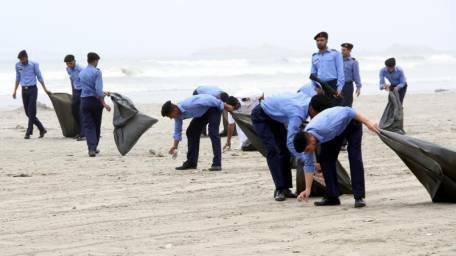 Harbour Cleaning Campaigns and Beach Cleaning Walks are conducted. A Maritime Carnival at Maritime Museum is also organized. Moreover, PN educational institutes conduct environmental awareness activities, debating, essay writing, skits, and chart making competitions to inculcate required consciousness in the future generations. These steps show the dedication of PN to promote Safe and healthy environment. However, for these initiatives to work, the concerned authorities overseeing these projects must fulfill their responsibilities. Each of us ought to show ownership of the environment to make a difference. I can recall the pleasant afternoon in Gwadar in March 2007. 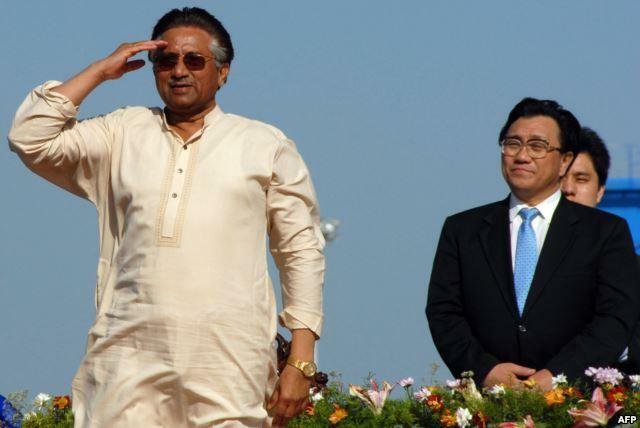 President Pervez Musharraf, Prime Minister, Governor of Balochistan, all Federal Ministers, Chief Minister Balochistan, the Provincial Cabinet and many other VIPS were present for the inauguration of Gwadar port. Gwadar port received the first symbolic cargo on 20 March 2007. The ship in port was PNSC vessel MV SIBI, which carried dummy cargo for the inaugural off-loading of a container. Perhaps the empty container symbolised that Gwadar was not ready to fulfil its role, as the port for Afghanistan and Central Asian Region. During the speeches, the President, on the urging of Minister for Ports and Shipping, made the distracting and pre-mature announcement of planning another port at Sonmiani on the Balochistan coast. This announcement diverted attention of the investors towards Sonmiani, which is closer to Karachi. Sonmiani port is yet to see light of the day but the announcement did put a break to the investment boom in Gwadar. From 2008 to 2014 Gwadar port handled only 5.7 million tons of imported cargo. The cargo was wheat and urea imported by the Government through Trading Corporation of Pakistan. The cargo was, then, carried to Karachi through Coastal Highway. Meanwhile the first port operator PSA (Port of Singapore Authority) could not exploit the promised potential of Gwadar. The reasons were many; some on part of PSA and some on part of Pakistani authorities. Ultimately, the Concession Agreement with PSA was terminated in 2012. 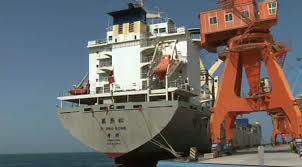 On 18 Feb 2013, a new Concession Agreement was signed with COPHC (China Overseas Port Holding Company). 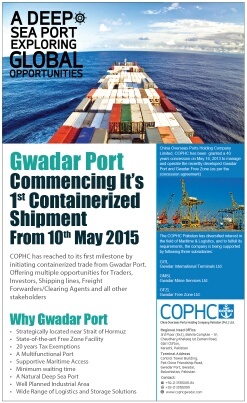 COPHC has been deliberate in consolidating its presence in Gwadar port. The acquisition of land for tax-free zone has been making slow progress. 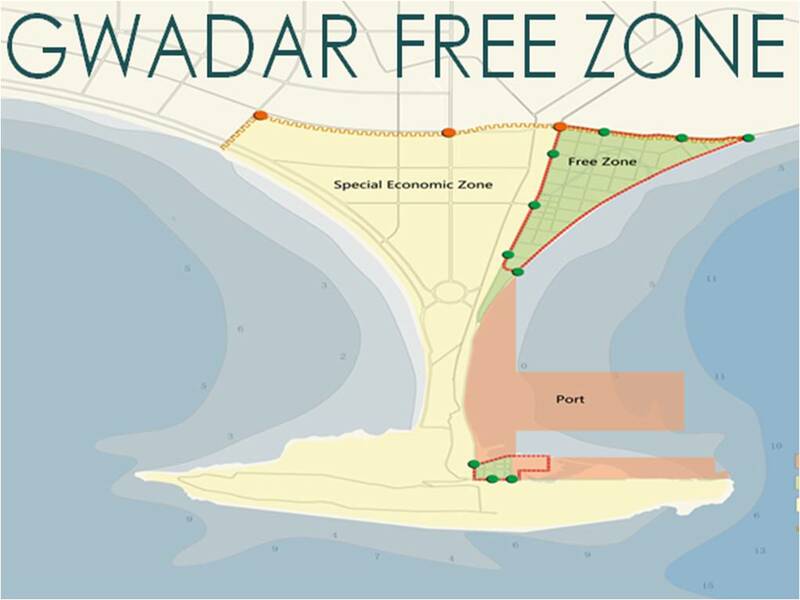 By 2015, most of the land for tax-free zone at Gwadar has been acquired. The road link to Northern Pakistan through M‑8 Gwadar-Ratodero motorway and N-85 Gwadar-Surab Highway, though on high priority, have lingered for so many years. One also reads about Gwadar-Turbat-Hoshab road making some headway. Their completion is forecast during 2016. In spite of the slow progress of essential infrastructure, the launching of China Pakistan Economic Corridor has provided a fantastic opportunity to Gwadar Port and COPHC. In this environment of slow progress, the news of the first export cargo leaving Gwadar port provides a sign of great hope. In my meeting with Mr. Zheng Qingsong, CEO of COPHC in Pakistan in January 2015, he had hinted about the high priority he gave to export of cargo from Gwadar. It was rumoured that the first ship will leave with cargo in the first week of April. Nevertheless, the first ship arrived on 10 May and left on 11 May 2015. It was not a container ship. 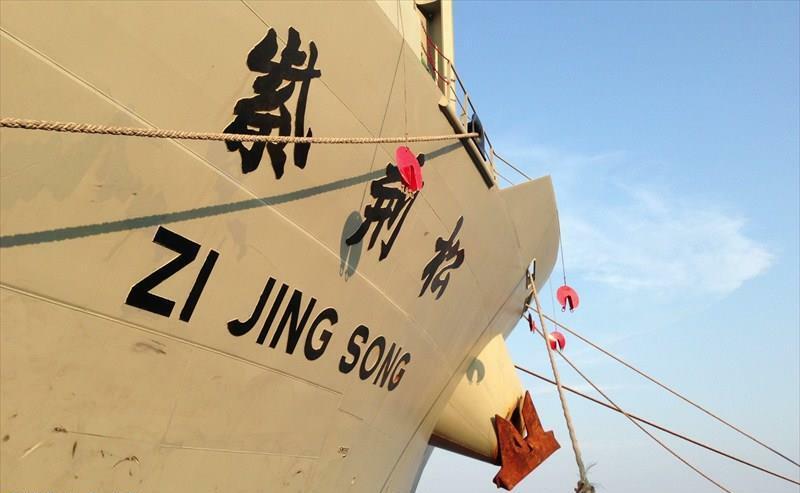 It was a break-bulk vessel MV ZI JING SONG of 27,000 DWT. The volume of cargo at Gwadar is still quite small. Using a container ship for a cargo of 6 containers only does not make economic sense. To witness the momentous occasion, Mr Kamran Michael Minister of Ports and Shipping was present himself. The first cargo comprised 135 tons of frozen fish exported by Gaba Group of Companies. The fish had been caught by the fishermen of Gwadar. The refrigerated containers are destined for Far East. However, the cargo went westward to Jebel Ali to be loaded onto a regular service container ship for the Far East. 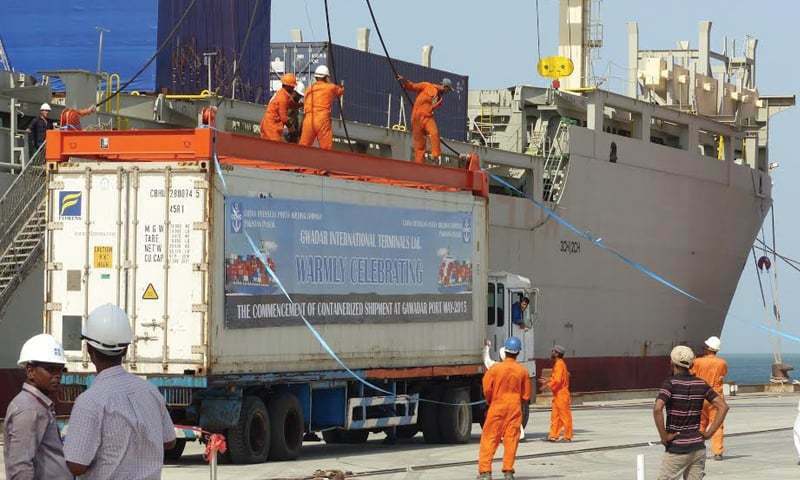 Another batch of export cargo will leave Gwadar on 18 May. With regular export cargo service, the fishermen of Pasni, Gwadar and Jiwani area will have a direct link to rest of the World. That will change the life of the local population. The credit for this achievement goes to COPHC. The exporter, of course, paid normal freight rates from Gwadar to Jebel Ali. The vessel was not carrying any import cargo. So COPHC had to bear the cost of diverting this vessel for Gwadar and offered other concessions. The service can become a regular feature in the long run, only if the quantum of export and import cargo justifies the costs of vessels calling at Gwadar. 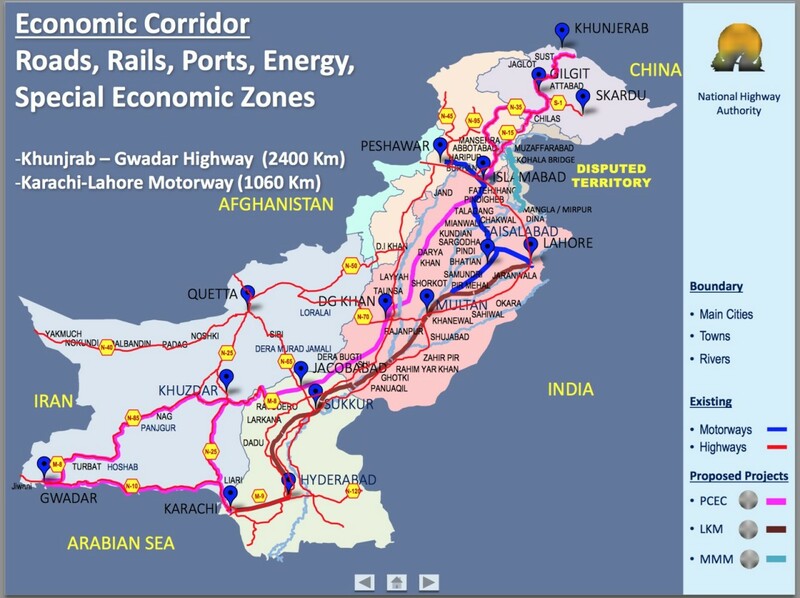 The CPEC project will include building new roads, a 1,800-kilometre railway line and a network of oil pipelines to connect Kashgar in China’s western Xinjiang region to the port of Gwadar. Gwadar Port will now catch international market. During the recent visit to Pakistan on 19th April, Chinese President Xi Jinping’s agreed to invest $46 billion in Pakistan in the CPEC projects. Gwadar Port, a warm-water, deep-sea port, is located at the mouth of the Persian Gulf at Gwadar in the Baluchistan province of Pakistan. Just outside the Strait of Hormuz, the port is adjacent to the key oil routes in and out of the Persian Gulf. It is also the nearest warm-water seaport to the landlocked, but energy rich, Central Asian republics such as Uzbekistan and Tajikistan. 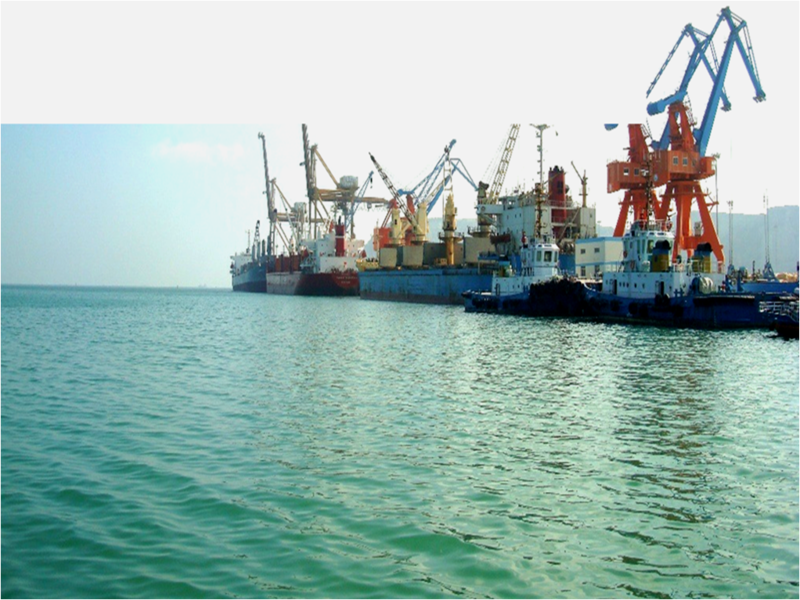 Gwadar port aspire to become a transshipment hub for cargo transportation to countries such as Sri Lanka, Bangladesh, India, Iran, Iraq and other destinations in the Gulf. 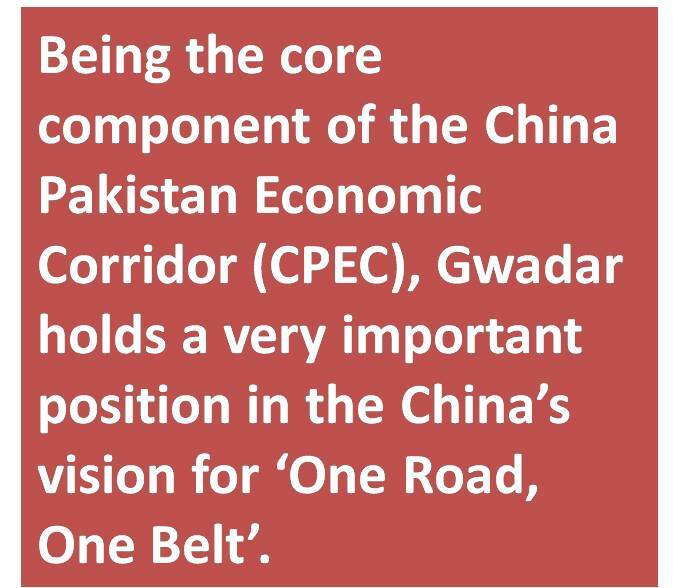 CPEC can help China get connected with the Gulf region, Africa, Europe and other parts of the world in an easier way and in a shorter time. The current trade route for Chinese exports is from Shanghai to Dubai, via the Malacca Straits, a distance of 9000 miles; if this trade was routed from Urumqi (in China) to Gwadar, via Khunjerab, it would save about 5000 miles in distance and several days in transit time for the Chinese consumer goods being exported to the world market. Gwadar would potentially pave the way for the establishment of shipping related industry, oil storage facilities, and an oil refinery amongst other things. China’s investment in Gwadar Port, including West Bay Express Way, connecting the port and eastern coastline of the port, bulwarks of the port, anchorage dredging, a free trade zone and the new Gwadar international airport, would all be completed in three to five years. A protocol on the establishment of China-Pakistan Joint Maritime Research Centre will be signed soon. A land lease deed for Gwadar free trade zone has been signed between China Overseas Port Holding Company and Gwadar Port Authority. The project cargo, for implementation, will now start coming in through Gwadar Port. 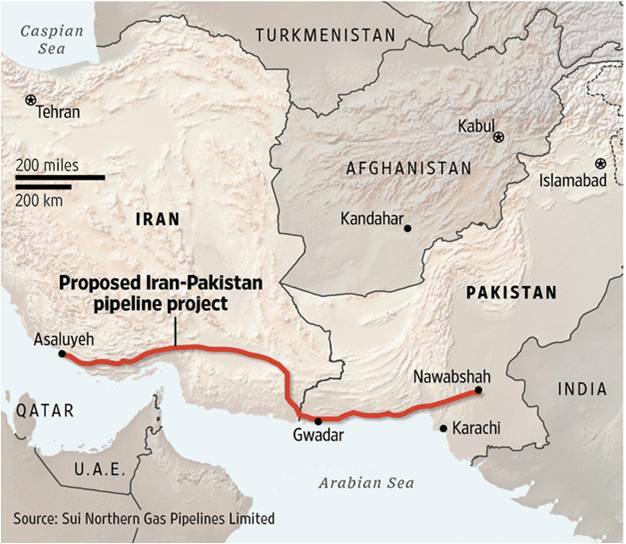 The upcoming Iran nuclear agreement will pave way for Iranian gas exports through planned 700 kilometers of pipeline from Gwadar to Nawabshah in Sindh, where it will connect to Pakistan’s existing gas-distribution pipeline network. 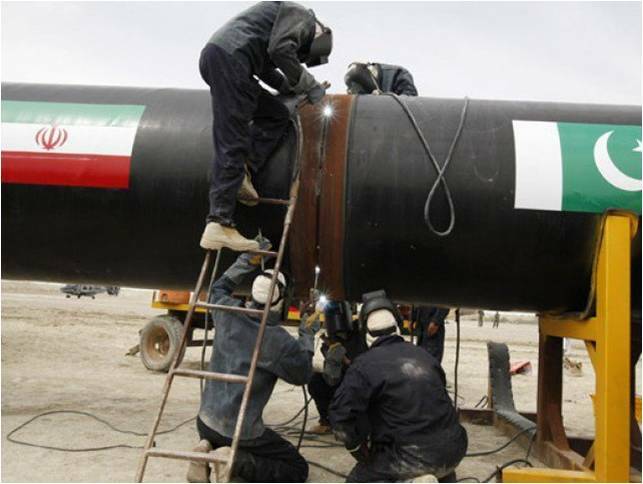 Tehran says that its 900 kilometer part of the pipeline from an Iranian gas field is complete. Gwadar’s raw potential is aimed to be transformed into a thriving economy and hub of international trade and commerce. 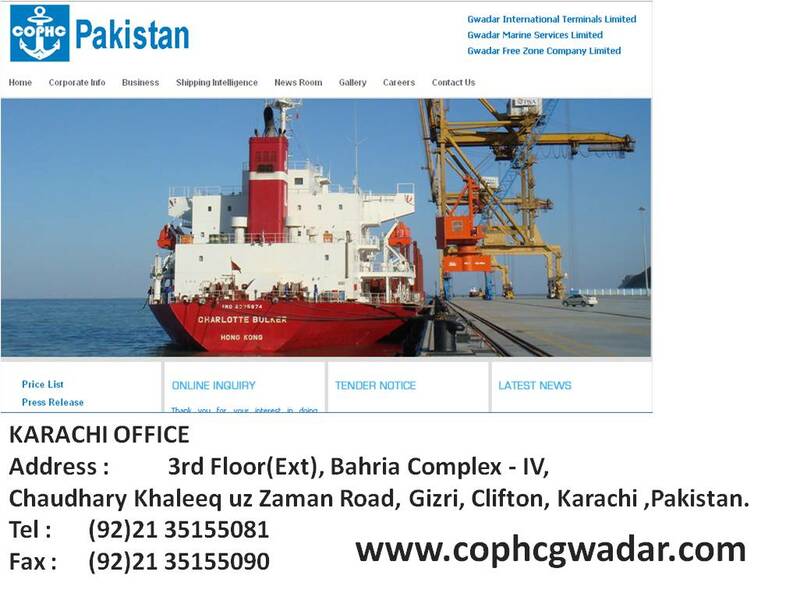 China Overseas Port Holding Company (COPHC) now has managerial control of Gwadar Port for coming 4 decades. Critical infrastructure is being built to kick-start economic growth and open new trade routes that link the Indian and Pacific oceans, reducing distances and hazards and providing a reliable all weather link. 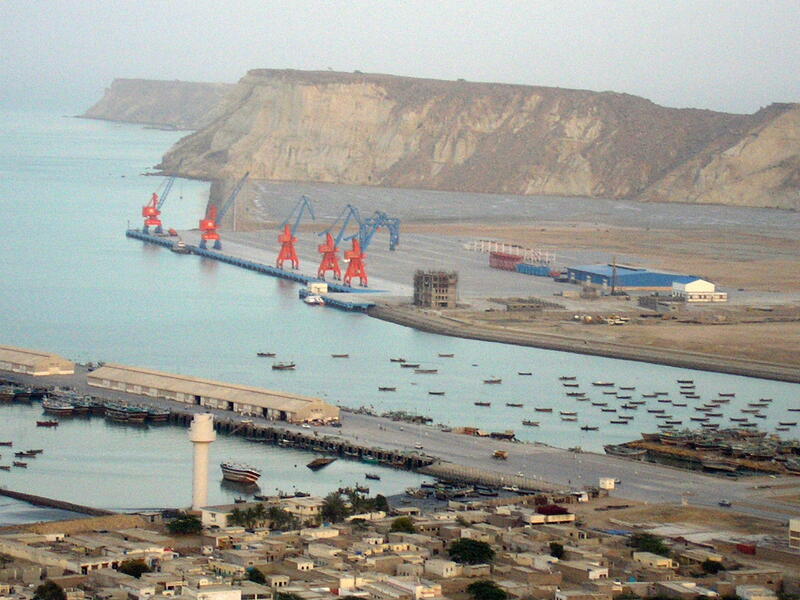 Gwadar Port is a gateway of China-Pakistan Economic Corridor, a mega project which would connect southern Pakistan to China’s Northwest region of Xinjiang via highways and Railways. Besides CPEC project, Chinese government also plans 21st century Maritime Silk Road, and One Belt One Road projects which would have transformative impact on Pakistan’s economy and lifestyle of an ordinary man in the country. Gwadar is set to become a vital trading point as it connects many shipping routes hence Pakistan and China are keen to turn it into a symbol of their expanding cooperation in future. Is Gwadar Port a Game Changer for Dubai? Gulf countries will be the biggest beneficiaries of the Pak China Economic Corridor (PCEC) linking Kashgar and Gwadar Port through Pakistan. The Chinese Govt. resolve to invest over 40 Billion Dollars in the development of the linkage and in the Gwadar port, will shorten the transit distance of Chinese products to gulf countries from 12000 km to 3000 km. As the trade develops through PCEC, the quantum of manufactured goods (from Gulf), oil and gas (from neighbouring Iran) etc will jump substantially. The service sector in Pakistan will benefit a lot as the trade flows through PCEC. The return on investments can accrue quickly if the trade takes the existing route Kashgar – Sost Dry Port in Pakistan – Gwadar Port. 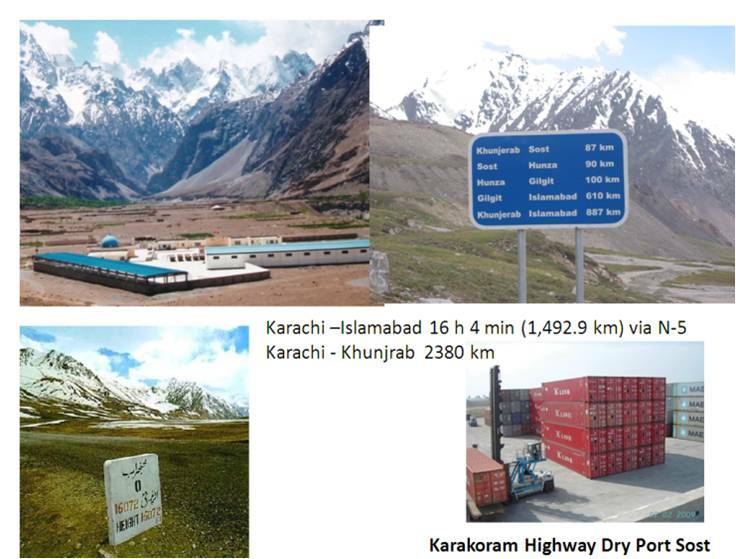 The Pakistan’s connectivity with Kashgar through the Khunjrab pass is usable during the coming summer season. 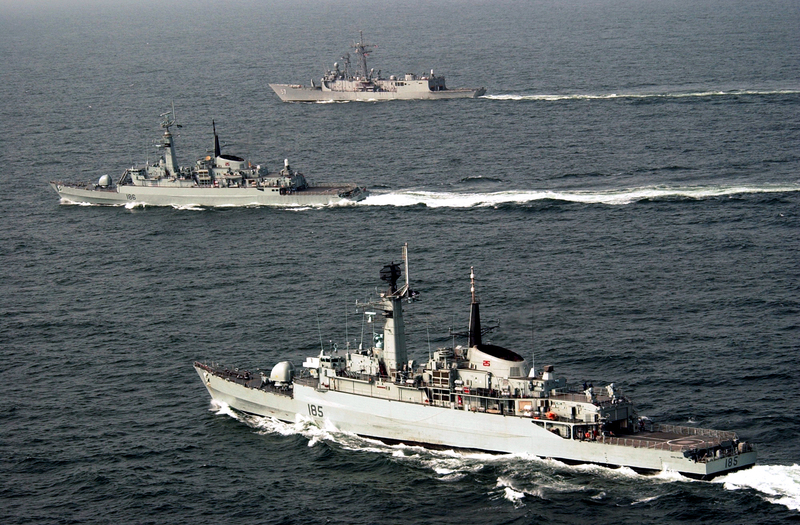 A lot of activities and revenue will be generated due to call of ships at Gwadar Port, including port charges, the transshipment of containers, the handling of the containers on the terminal, carrying of containers by feeder vessels in the gulf, increase in support services to these ships, increase in demand for infrastructural development for terminals and quays etc. It is normal for ships to request and pay for additional services while in port, including stores, repairs, surveys, supplies of spare parts and transport services. The 3PL Service Providers based in the Gulf will find the Gwadar potential very lucrative and are starting to invest in establishing their offices in Gwadar. Greater economic growth in Pakistan is resulting in greater UAE investment in many sectors including export-oriented industry, IT and software. The economies of the Gulf states will be benefitting by the increase in the trade volume and huge savings in freight. 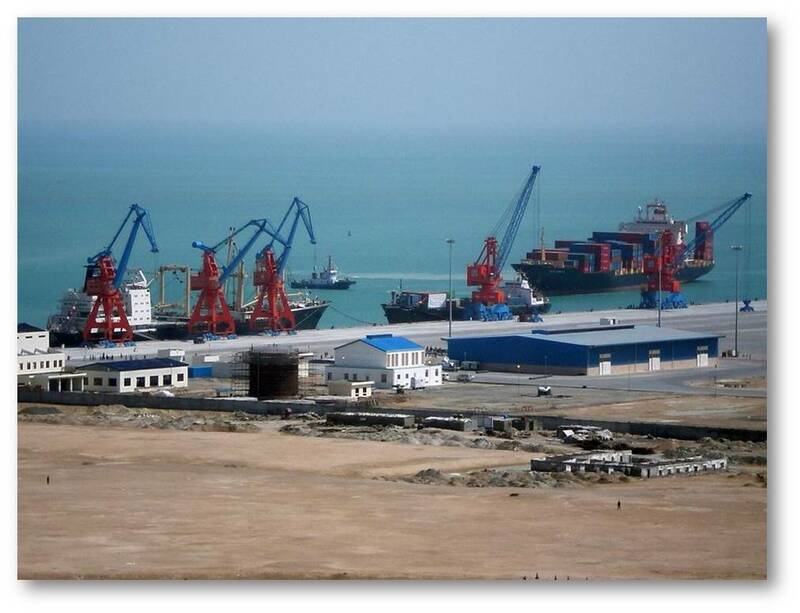 The Free Trade Zone (FTZ) being developed by the China Over Seas Port Holding Company (COPHC) at Gwadar is the dream come true for Gwadar and Baluchistan people and a big opportunity for Gulf based industries to diversify their assets, seize the opportunity and invest in Gwadar FTZ. Dubai’s biggest non-oil trade partner is China with around $50 Billion trade annually. This can increase greatly if foreign direct investments are made by UAE based companies in Gwadar FTZ. Gwadar is not competing with Dubai, but it is providing Dubai based companies to invest in Gwadar FTZ and market the products in the Gulf. Within UAE there are several ports but they are not competing each other. They all are complementing to the flow of trade, each port has its own dynamics and they supplement each other in productivity and shipping. 923 hectares of land of Free Zone has been allocated to China Overseas Port Holding Company. There is freedom of operation and freedom of remittances and tax exemptions. Gwadar is providing investment opportunities in Balochistan and turning them into sustainable economic activities. Invest in Gwadar as it is not just a port, it is a global trade opportunity. 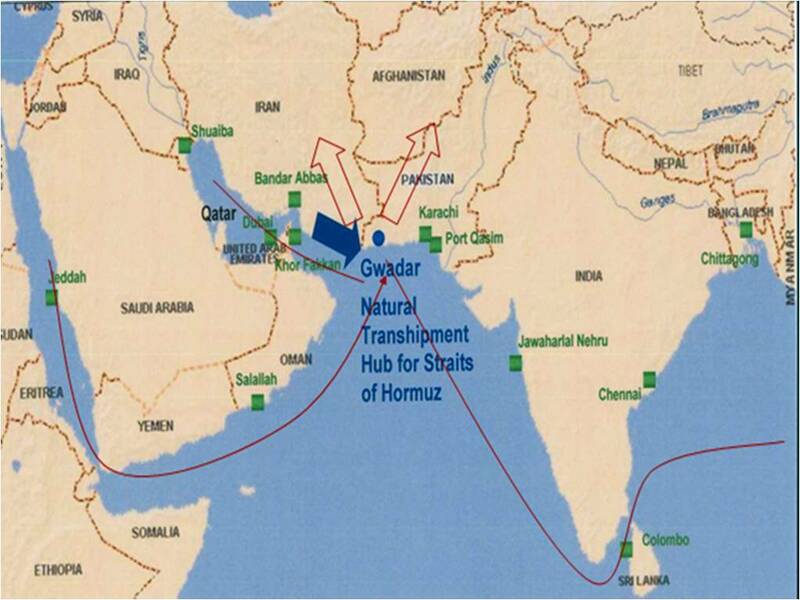 “Gwadar is strategically located in proximity of major shipping routes emanating from the Gulf. Gwadar and Pakistan China Economic Corridor (PCEC) are important for both China and Pakistan,” said the CEO of China Overseas Port Holding Company Mr. Zeng Qingsong. 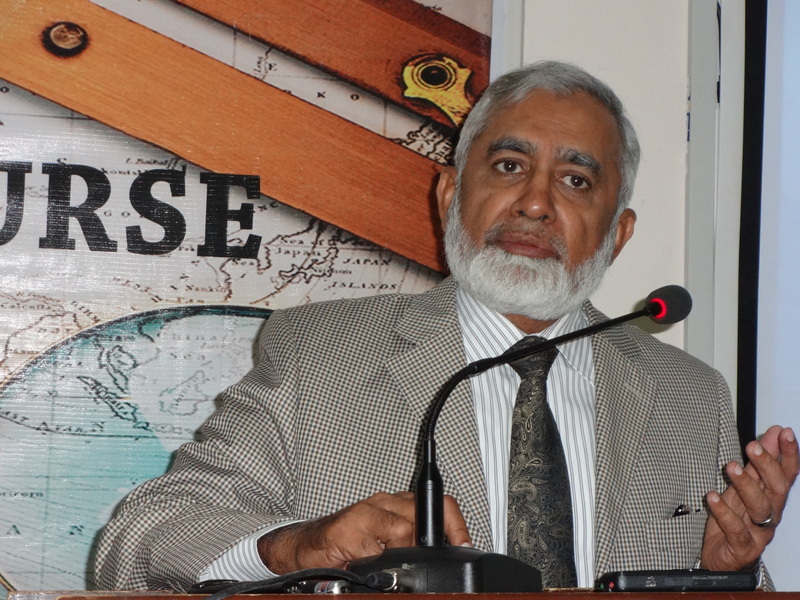 Speaking at Maritime Discourse on the topic “The Future of Gwadar” at Bahria University on 20th March, 2015, he highlighted the significance of the Gwadar Port in the near future. He elaborated the economic and geographic importance of the Gwadar port by comparing statistics of other ports in Pakistan. 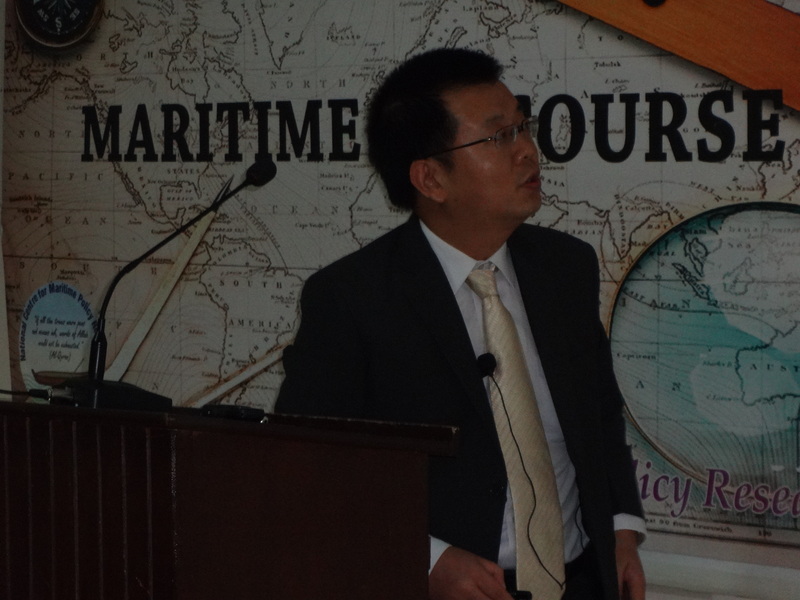 The CEO of China Overseas Port Holding Company, Mr. Zeng Qingsong highlighting the economic importance of Gwadar. Maritime Discourse is a series of lectures, organized by National Centre for Maritime Policy Research (NCMPR). 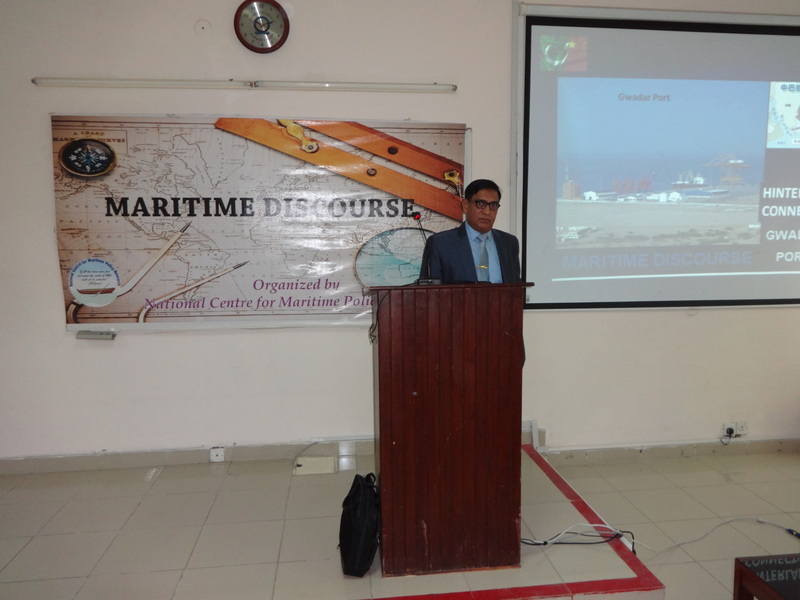 NCMPR organizes maritime discourse twice a year to provide a valuable platform for discussing maritime issues being faced by Pakistan. The core objective to conduct this discourse was to shed light on the significance of Gwadar Port and the role it can play to boost the economy of Pakistan in future. Gwadar port offers multi-dimensional advantages and will influence the geo-strategic and economic environment in the region. The Discourse began with the presentation of Director NCMPR Capt. Tariq Masood who highlighted the hinterland connectivity of Gwadar Port. Additionally, Pakistan China Economic Corridor terminates at Gwadar. 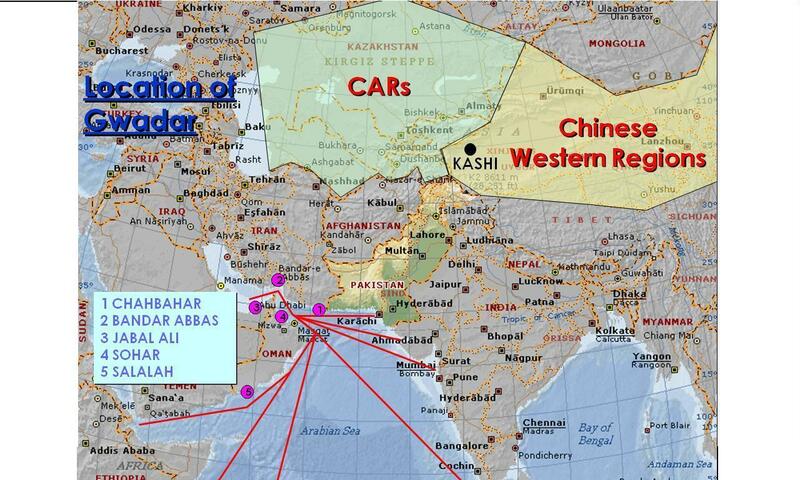 Iranian North South Corridors from Chabahar Bandar-e Abbas and Bushehr can be connected via the coastal road from Gwadar to Gabd, Such geographic significance of Gwadar in the region can open new door for economic growth and progress” he added. He stressed on the need to have due regard to the preservation of environment, which should be a part of all development work in Gwadar area. 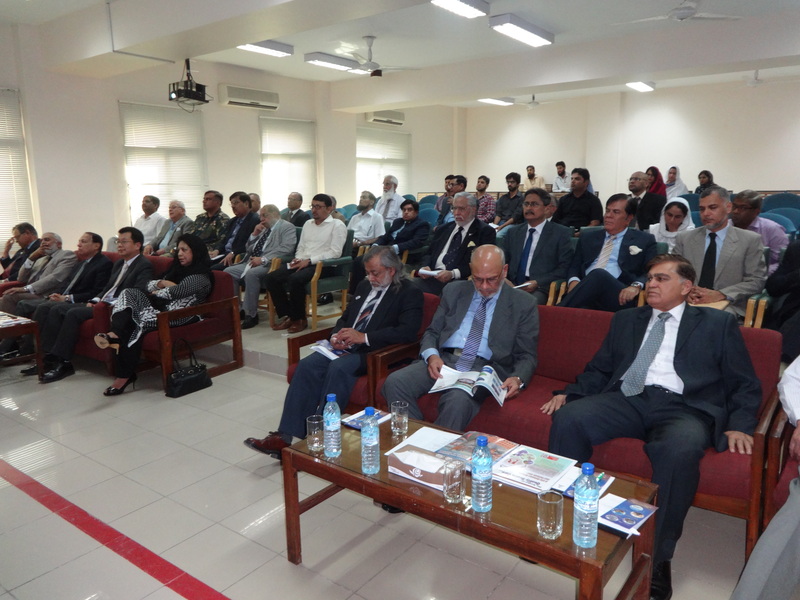 Various intellectuals, senior officers of Pakistan Navy, renowned stakeholders of maritime sector, marine scientists, students of maritime studies and many other dignitaries attended this productive session. 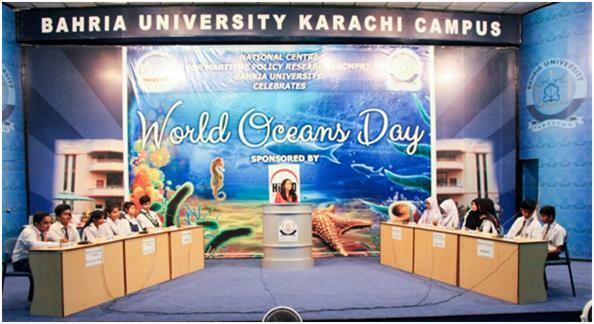 “Activities similar to Maritime Discourse are essential to be conducted on continual basis, in order to create mass awareness regarding maritime sector, which we really need to highlight for the development of Pakistan,“ said Tabassum Naz, a guest.